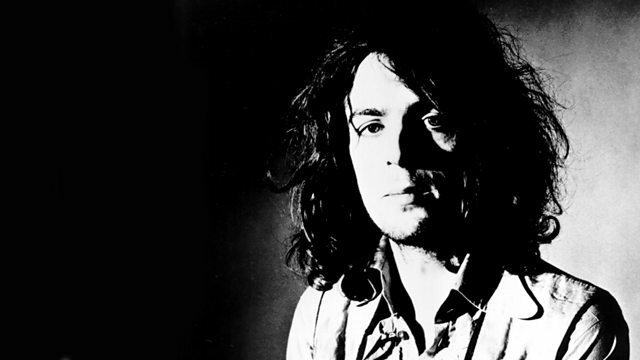 John Harris explores the mental breakdown in 1967 of former Pink Floyd front man Syd Barrett. With revealing comments from band members, management and family. Undoubtedly Barrett's experimentation with the drug LSD affected him mentally and the band members reveal how concerned they were when he began to go catatonic on-stage, playing music that had little to do with their material, or not playing at all. By Spring 1968 Barrett was out of the group and after a brief period of hibernation, he re-emerged in 1970 with a pair of albums, 'The Madcap Laughs' and 'Barrett', but they failed to chart and Barrett retired to a hermit life existing under the watchful gaze of his caring sister Rosemary (featured in the programme). We hear from David Gilmour, Nick Mason and Rick Wright (one of the last interviews before his sad passing) about how there was little understanding of mental illness when it came to the drug fused culture of the time. These days a strung out star is hurriedly booked into the Priory and given counselling. As this programme reveals Barrett's mental breakdown was not understood and the steps taken to help him were inappropriate and still rankle the members of Pink Floyd today. “Syd wanted to be a pop-star but he wanted to do it his way"
Radio 2 and 6 Music celebrate Pink Floyd's landmark album.